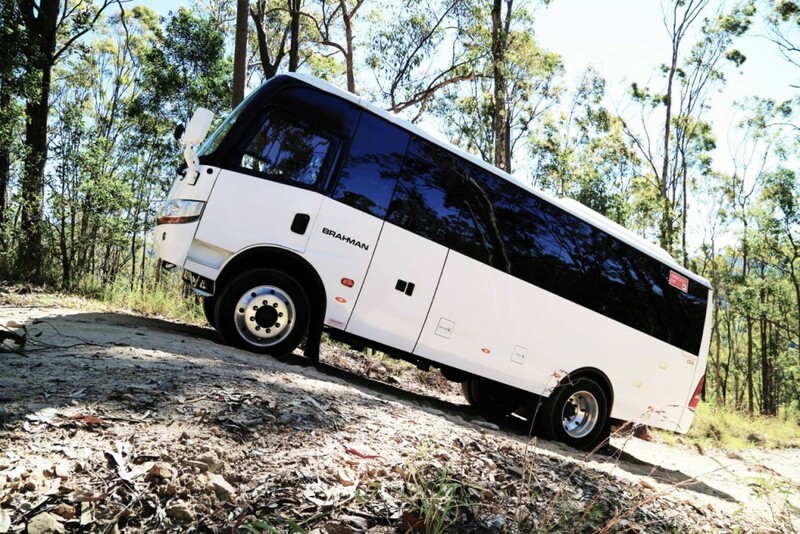 The Australian developed Brahman Traveller all-wheel-drive bus is receiving growing acceptance in the Australian market with more than 30 now plying their trade on the tough back roads of Australia since their arrival in early 2013. The Brahman Motor Distributors based on the Queensland Gold Coast, designed and engineered the versatile bus in Australia and manufactures it in China via accomplished commercial vehicle manufacturer Dongfeng and 34 are already in service across Australia and Papua New Guinea. The Brahman is the only factory-built all wheel drive fully imported 28-seat bus currently available on the Australian market. 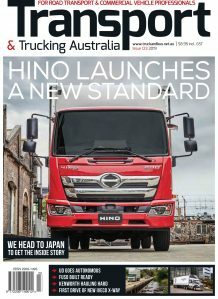 According to founder and executive chairman of Brahman Motor Distributors, Hans Hobelt, the deliveries so far are not only a vote of confidence in the product but indicate the growing demand for a well engineered, durable and capable all wheel drive bus for a variety of applications across Australia. “The Brahman Traveller has really aroused interest with mining, construction, tourism and remote access transport operators because it offers a transport solution designed to handle Australia’s tough environment and conditions,” Hans Hobelt said. “We already have Brahman Traveller AWDs operating in gold mines in the PNG Highlands, on construction sites in the Pilbara and with tourism operators in the Territory here in the Gold Coast Hinterland and tropical North Queensland,” he added. The Brahman Traveller AWD is built on a highly regarded military-grade chassis produced by Dongfeng Motor Corporation, (DMC), one of the largest Chinese auto makers, to an Australian design and specification using a Cummins ISF 3.8 litre direct injection turbo diesel engine mated to an Allison T220 six-speed automatic transmission driving through a ZF transfer case to all four wheels. The international mechanical specification combined with a lightweight marine grade alloy body panels, including a fibreglass roof over a strong and durable aluminium frame and the full steel military grade bus chassis gives the Brahman the credibility and reliability to tackle toughest conditions. Excellent ground clearance adds to the Brahman Traveller’s go anywhere credentials while quality materials such as 3 mm marine grade aluminium and high quality composite and fibreglass panels not only contribute to lower overall weight but offer better sound and heat insulation. “The Brahman Traveller is not a bus that has been designed and engineered in China for a global market, this is a bus that has been engineered in Australia for our conditions and is manufactured cost effectively in China,” said Hans Hobelt. After sales back up is well catered for with Brahman able to offer a rapid response to any part of the country to prevent any problem interfering with customer operations. Brahman has established and maintains a full parts warehouse at its Gold Coast headquarters and can supply any part to virtually anywhere in Australia by overnight courier with service back up is at a similar level aided by the extra resources of Cummins, Allison and ZF. Brahman is dedicated to supplying robust and reliable vehicles purposefully built to meet the needs of Australian transport operators. The first prototype Brahman Traveller was completed and tested in April 2011 while production of a further three prototypes quickly followed. The first ‘full-production’ Brahman Traveller AWDs arrived in Australia in late 2012 since then 34 have found their way on to Australian roads and back country locations. Brahman has engaged representatives within Australia and PNG and is in negotiations with prospective importers in Africa, Malaysia, Latin America and the USA. The Brahman Traveller meets or exceeds the requirements of the Australian Design Rules (ADR) and the company is currently exploring the option of offering the supply of the vehicle in the CKD format (Completely Knocked-Down) alongside its current CBU format (Completely Built-Up). Brahman will soon add a city-savvy Brahman Traveller 2WD version which will be marketed alongside the unique Traveller AWD crossover, attracting significant interest from major rental companies, mining and construction companies, coach lines and tour operators throughout Australia.